EVA ALORDIAH IS THE NEW FACE OF STUDIO 29 BOUTIQUE BY AFRICA FASHION WEEK LONDON. Eva Alordiah smolders in a series of playful and sultry poses, as the new face of Studio 29 Boutique by Africa Fashion Week London, wearing fab pieces from award winning AsakeOge. 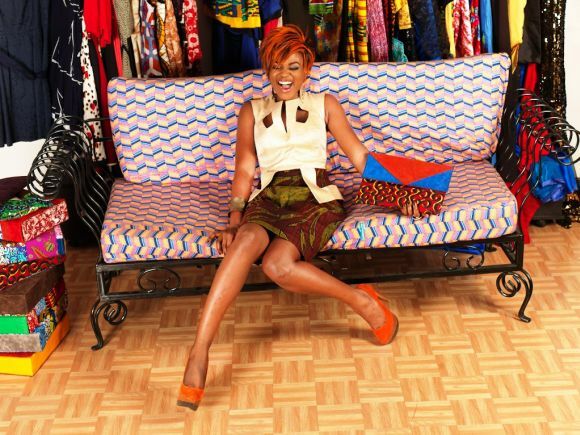 Studio 29 boutique, an extension of the highly successful Africa Fashion Week London (AFWL) brand is set to open its doors to Lagos fashionistas from Sunday 14th April 2013. The first of a series of concession stores in Lagos, African Fashion Week London, the biggest African themed fashion event in Europe launches Studio 29 as a response to demand for the exclusive pieces featured in its runway events. Opening at 29 Opebi road, Ikeja, a Lekki branch right after and then the prestigious Oxford Street, London branch opening later in the year, the Studio 29 boutique will be stocking the best of African fashion from African designers around the world. With London-based multiple award winning brands like Adebayo Jones and AsakeOge already in store and other exotic pieces from designer brands such as Zebra Living, Kola Kuddus, Violet Couture, Mademoiselle Aglaia, Nene Kester and more designers signing up every day, the boutique caters to the everyday needs for the modern fashionista. From day to evening, casual to occasion, there’s something for everyone in store. With it’s contemporary deco and furnishing, Studio 29 will also be open for event bookings, fashion tea parties and product press launches.